The trucking industry is a complex machine that has many working parts. A truck dispatcher is at the center of the action with the critical job of helping truck drivers concentrate on delivery loads while fielding requests from customers. Each day presents a new set of challenges, and the dispatcher is responsible for resolving them quickly and efficiently. It’s a fast-paced job that requires unique skills to complete. Here are some skills to look for in a great dispatcher. Maintains laser focus throughout the day. There are a lot of different elements that go into ensuring goods are delivered on time. Traffic is in a constant 24-hour cycle, meaning truckers could experience delays or setbacks at any stage of their journey. A good dispatcher will focus on coordinating and managing loads to ensure the driver can deliver a customer’s goods on time. A great dispatcher will identify any special considerations and help drivers make sure documentation and routes are in order. A successful dispatcher has great interpersonal skills. A lot of communication goes into the role of the truck dispatcher. 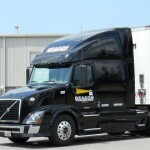 As the backbone of the trucking industry, they will have constant contact with both the truck driver and the customer. They will need to have the ability to work professionally with both parties to resolve issues and provide solutions. Effective communication will help achieve the highest reward at the lowest cost. Work pragmatically to achieve the best outcome. Each transportation company will have multiple loads being delivered around the country at one time. A truck dispatcher will assume the responsibility for managing the deliveries for numerous accounts to help their transportation company succeed. This juggling act will require a pragmatic approach to problem-solving to make sure they satisfy the requirements of the customer, driver, and their employer. Attention to detail ensures a successful delivery. Each day the dispatcher manages the progress of current loads and locates opportunities to consolidate deliveries. The end goal is to ensure safe delivery of goods, on time and at the lowest cost. With opportunities arising every day for setbacks, a dispatcher needs to pay attention to detail to make sure the needs of the driver and customer are met. By identifying ways to reduce travel time and consolidate loads, the dispatcher can help the customer stay on budget and ensure the driver arrives in a timely fashion. Anticipate the needs of drivers and customers. The dispatcher needs to look at the bigger picture while making decisions to prevent costly delays. This could be reassigning different loads when a driver is unavailable to complete the task or keeping the customer informed of the delivery status through constant communication. Preempting the needs of the driver is the most efficient way to keep costs down and the customer satisfied. Weather is the trickiest to work with, and a good dispatcher will keep an eye on the conditions to benefit the driver’s success. Multi-task to keep the workflow moving. A day doesn’t go by where a truck dispatcher isn’t addressing a multitude of responsibilities. Keeping the customer and the driver happy is a balancing act that requires a lot of multitasking. There’s rarely a moment’s downtime where they are not coordinating loads, taking calls, and managing routes. It’s essential for a good dispatcher to know how to keep the workflow moving in a productive direction. Beacon Transport has built a team of dedicated and experienced employees who provide the best customer and dispatch services available.